The Solar Energy Corporation of India (SECI) announced today that 2.3 GW of new solar projects will be tendered by the corporation shortly, while the Tamil Nadu Generation and Distribution Corporation (TENGEDCO) has just begun the tendering process for 500 MW of solar PV within the state. Everyone is expecting big things from the solar market in India in 2017, and so far the year has been encouraging, especially as news of two new large-scale solar project auctions hits. Combined, the two tenders are for 2.8 GW of new solar PV, which will be spread across various utility-scale projects. The larger of the two tenders is a SECI auction for 2.3 GW of solar projects. SECI managing director, Ashvini Kumar, made the announcement for the tender on Monday, stating that it was the final stage of the 5.5.GW of solar energy that the organization had committed to, as 3.2 GW of that commitment had already been tendered, and power purchase agreements (PPAs) already in place. Interestingly, part of the tender requirements for potential bidders, will be to include a certain level of domestic products within the projects. “Following encouragement from the government to spur up and promote Make in India, SECI has been specifying in its tendering documents domestic content in solar power plants to also ensure level playing field for indigenous developers of such projects,” commented Kumar. In addition to the 2.3 GW of solar that will make up this new tender, Kumar also announced that the new and renewable energy ministry had approved a separate tender for 100 MW of rooftop solar to be installed on various government buildings. Over to Tamil Nadu, and the state is still taking a leading role in the country’s solar deployment, this time with the initiation of a 500 MW solar tender. TENGEDCO is conducting the tender, as part of its renewable purchase obligation (RPO), with bids now being accepted up until 10 February, according to market analysts Mercom Capital. The bidders can enter projects any from 1 MW to 500 MW in any one site, with the upper tariff limit for energy generation being set at Rs. 4.50 (USD 0.066) per kWh. This is a 12% reduction from the Rs. 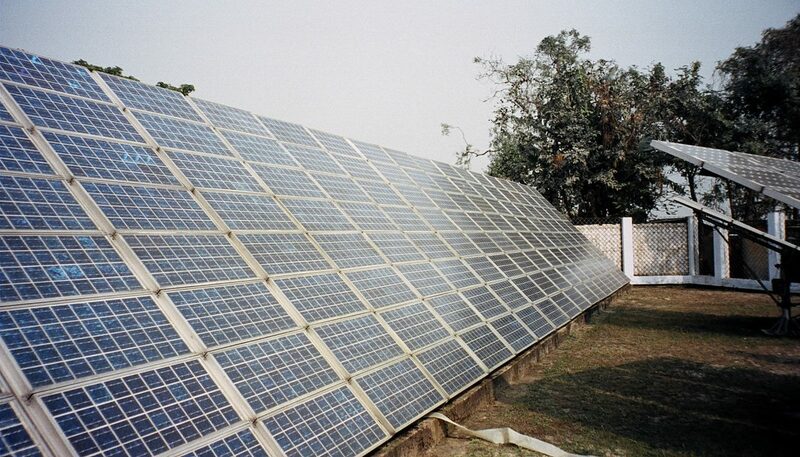 5.10 (USD 0.075) it had issued in October, which is testament to the price direction in which solar energy is heading. The reward for the winners in the auction, however, is a 25-year PPA. These are all bright signs for the bustling solar market in India, with solar power now accounting for 1% of the total electricity generation within the country. And market onlookers are expecting that to increase fast, with 9 GW of solar forecasted to be installed in India in 2017, more than double the 4 GW that was installed in 2016.